Welcome! 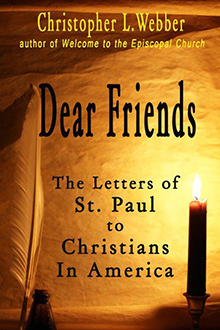 If you like to read, I hope you will find a book or two here to interest you – marriage, slavery, Beowulf, American history, prayer – a wide range of subjects. Or check my blog page for a unique angle on everything from green peas to politics. A new sermon is posted almost every Sunday. Blog posts on Monday – or whenever I feel a need to get the world straightened out! The first work of literature in the English language ends with a question: “What will happen now?” With Beowulf’s death, his people would be unprotected. What will happen now? For over a thousand years that question went unanswered. Six years ago, I published Beyond Beowulf and that question was answered. Wiglaf, Beowulf’s young companion in the fight against the dragon became the new leader and helped the tribe find a new home in spite of storms and trolls and a Saxon army. But the question was answered from a warrior’s viewpoint. Wasn’t there a need for a broader perspective? What about Wiglaf’s wife and family? Now the publication of The Beowulf Trilogy provides the complete picture. Here we have the text of Beowulf provided in a new alliterated translation. Here we have the missing larger perspective in Yrfa’s Tale. 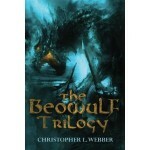 You can be the first in your neighborhood to explore the beginnings of English literature by ordering The Beowulf Trilogy today from Amazon or your favorite bookstore – or get an autographed copy by sending a check for the publisher’s price ($20) to Christopher L. Webber at 8o Herb Road, Sharon, CT. The incredible story of a forgotten hero of nineteenth century New York City, James Pennington—a former slave, Yale scholar, minister, and international leader of the Antebellum abolitionist movement. Here’s a new basic introduction to the Christian faith intended to emphasize the basic doctrines most Christians hold in common or to set out the range of belief found on some subjects. Intended for newcomers, those with questions, and discussion groups.